Did you choose option D? Contact us. Few tests have more impact than the PSAT, SAT, or ACT. Understanding how each test works, what each test covers, and the options for success is truly important. Additionally, we'll give a little insight into APs, IBs, and SAT Subject Tests too. For information about Testing Scores and the application, check out this page. Testing Accommodations: This brochure outlines disability accommodations for ACT and SAT test takers. Contrary to popular belief, the PSAT is not a practice SAT. It's a preliminary SAT that actually has some fairly substantial ramifications. If you're one of the top 1% of test takers in your state, you might qualify to become a National Merit Semifinalist with the potential of scholarships and full tuition-waivers. While many schools offer the PSAT in 9th and 10th grades, only the 11th grade test counts. You get one shot at it in the fall of junior year. For Class of 2017: The PSAT taken by the Class of 2017 mirrors the new SAT. As such, we know very little about what the cutoffs for National Merit Semifinalists might be. Here's a site giving some projected cutoffs for the test, for whatever those predictions might be worth. If you make the cutoff, please be sure to follow up on the procedures for claiming your National Merit Semifinalist or Finalist spot. Not all students test well or want to prep and study for either the ACT or the SAT. Some colleges, recognizing that testing isn't for everyone, allow you to apply without test scores or won't accept them at all. Choose carefully. 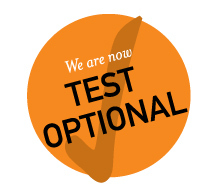 If you decide not to take the ACT or SAT, you can only apply to test-optional schools. APs, or Advanced Placement tests, are College Board-offered tests for students who take the most rigorous high school courses. In fact, these courses are so rigorous that they are considered college level courses and can count for college credit. GPA Bump: Most high schools offer a GPA bump for taking an AP class. This means if you earn an A in an AP class, you'll get a 5.0 for the class rather than a 4.0, which you'd get for a regular course. Challenge yourself: You get the chance to stretch your mind and learn with like-minded peers. Be prepared for college: AP students learn to navigate the academic expectations they’ll encounter in college courses. Receive college credit: An AP score of a 3, 4 or 5 might receive college degree credit, allowing you to take a lighter load, double major, or graduate early. Build your resume: Taking AP tests can earn you awards through the College Board. Help your chances at College Admissions: Colleges rank “Grades in college prep courses” and “Strength of curriculum” as the two top factors in admission decision. Also, 85% of selective colleges and universities report that a student’s AP experience favorably impacts admission decision. Win scholarships: AP courses and exam scores help students qualify for scholarships. According to The College Board, 31 percent of colleges and universities look at AP experience when making scholarship decisions. Generally, we recommend taking an AP only if you love the course and believe you can get an A in it. Getting a B in an AP course, despite the potential GPA bump, is not as impressive as getting an A in a regular or honors course. Additionally, APs take a ton of time. For that reason, ForWord recommends against taking AP US History or AP World, unless you really love the topic. 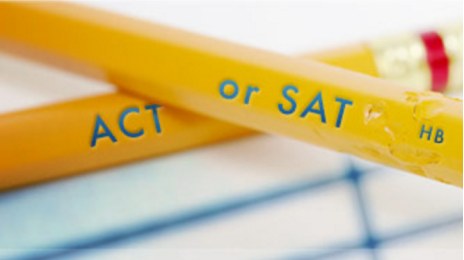 SAT Subject Tests are college admission exams on specific subjects. These are the only national admission tests where you choose the tests that best showcase your strengths and interests. For more interest, check out this College Board site. The IB program is an alternative to the Advanced Placement, and sometimes offered in conjunction with the AP. The IB is a rigorous program that originated in Europe in 1968 and is based in format on the national curriculum of France. It maintains high academic standards and assessments offered in the areas of English, French, and Spanish and the two year program is designed to provide college level courses that promote international understanding. Diploma candidates must select one subject from each of the six groups. Some of these areas include Individuals and Societies, business and management, economics, geography, history, Islamic history, information technology in a global society, philosophy, psychology and social and cultural anthropology. Individual schools decide which social sciences to offer and the students elect which course they prefer to study. IB courses are currently offered in over 1300 schools, 400 of which are in the U.S. and include the participation in 141 countries. Development of life-long learners: Diploma candidates must prepare a 4000-word research project on a subject matter of interest from one of six subject areas. Active involvement of at least 150 hours in community service, including some type of artistic and physical activity. Critical thinking and problem solving: Inquiry into the nature of knowledge through an externally assessed course that contrasts ways of knowing in all six subject areas. Schools undergo a rigorous process for authorization to offer IB courses are reviewed every five years. A student must attend IB classes to take the tests. IB assessments are scored on a 1 to 7 scale. 20 to 50% of the grade is based on classroom work done during the course and graded by the teacher using specific published criteria. The remaining 50-80% is based on external assessment in essay format developed by an international board of chief examiners with input from IB teachers worldwide. Trained high school and university instructors whose work is moderated by the international examining board in Wales grade the external exams. The exams are administered in November in the Southern Hemisphere and in May in the Northern Hemisphere. Results are published in July in the U.S.
Teachers do receive detailed feedback on the performance of their students. Since most students are tested for the entire IB Diploma representing two years of work in six subjects plus the knowledge test and the research paper, the total cost is about $560 per student in the U.S. Students may receive certificates for individual courses that do not result in a Diploma. SAT: Khan Academy is working with College Board to develop free videos and guides for the SAT. ACT: ACT Test Prep through the ACT itself. One of the best ways to prepare for the SAT is to compete against fellow students. SAT Ladder is available to iOS users and tests critical reading, mathematics and writing. Head-to-head competitions allow you to challenge friends or strangers to climb the ladder with correct answers. The iPhone app is very adaptable. For instance - if you answer a question incorrectly about quadrilaterals, the software makes note of it, and offers you further instruction on that concept while assembling more of those types of questions for you to work on. It also offers hand-written explanations of the theory behind the correct answer and tutorials with question-answering strategies. Need vocab help? You can't master the SAT Writing or Critical Reading section without knowing some extensive vocabulary, and this iPhone app measures a user's knowledge of 250 popularly used SAT words. With four different timed games, it tests your knowledge of vocabulary words' positive or negative connotations, synonyms, antonyms and definitions. Kaplan SAT Flashcubes by Jirbo, Inc. Need even more vocab help? Here's an iPhone app that quizzes you on 500 SAT words you should master before the test. The app is called "Flashcubes" for a reason. Whereas you may regularly study with 2D vocabulary flashcards in school, this app features 3D cubes with vocabulary words' synonyms, definitions, parts of speech, and the word in a sentence on different sides. 3D is definitely cooler than 2D. Just ask Super Mario. Enough already with the vocabulary help, right? Wrong. This app, written by professional exam coaches and certified teachers, is chock full of 1000 vocabulary words you gotta know for the SAT. The cards include synonyms, antonyms, pronunciation, parts of speech, and sample sentences for each vocabulary word. You can't get all that from the dictionary. Well, I guess you can, but it isn't as cool. Sure, it's one thing to practice SAT math questions, but it's entirely another to know what the heck you're doing in the first place. This iPhone app helps you get there with a comprehensive list of the most popular math formulas used on standardized tests. Study smarter, not harder. We've done the hard work. All the subject areas are covered. Every question comes with complete rationale. TestBank tracks your individual performance across all subjects. Put TestBankto work for you!